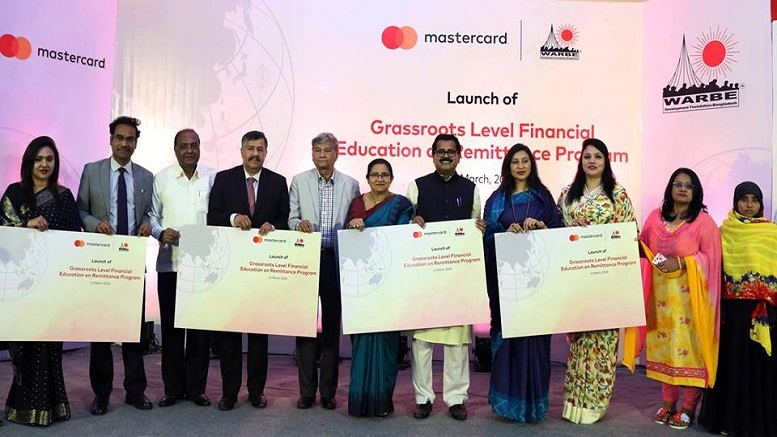 MasterCard in partnership with WARBE Development Foundation on Monday announced the Grassroots Level Financial Education program on Remittance Utilization, Investment and Savings aiming to educate and train more 35,000 Migrant Workers and their left-behind families. Mastercard-WARBE Development Foundation already trained 15,000 migrant workers and their left-behind families in the first phase about proper sending remittance and it utilizations and they targeted to train more 35,000 migrants and their family members in upcoming second phase, the organizers informed the launching ceremony held at a city hotel. Over 11 million Bangladeshi workers who were employed abroad and their families who lived in rural areas of Bangladesh were dependent financially on the foreign remittance. However, most of these people are not aware about the authentic remittance transaction process and its proper utilization. MasterCard through this initiative wants to aware and educate these communities on the proper way of remittance transfer, saving practices and its effective utilization of remittance. 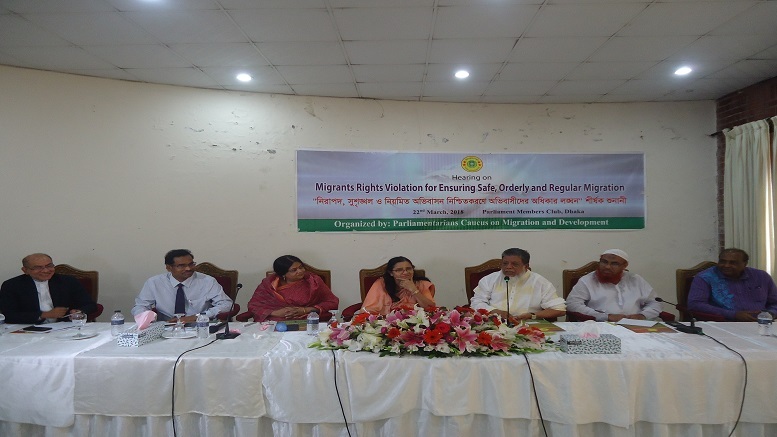 State Minister for Finance and Planning Muhammad Abdul Mannan who spoke as chief guest said that the country’s migrant workers in many countries were leading miserable life and they were sending their hard earned remittance back home. ‘Migrants are mostly sending back their money through informal channels but they will have to be motivated to send money through legal channels,’ he said. 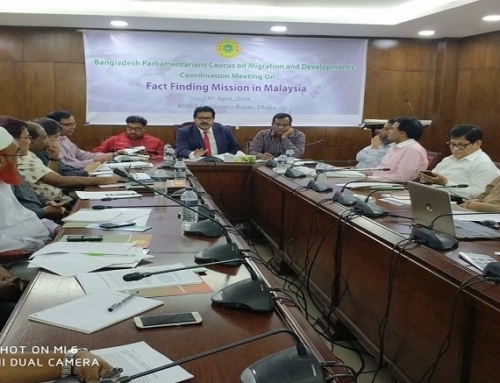 Speaking on the occasion Syed Mohammad Kamal, Country Manager of Mastercard said that in Bangladesh, livelihood of a large number of people was dependent on the foreign remittance sent by their near and dear ones. 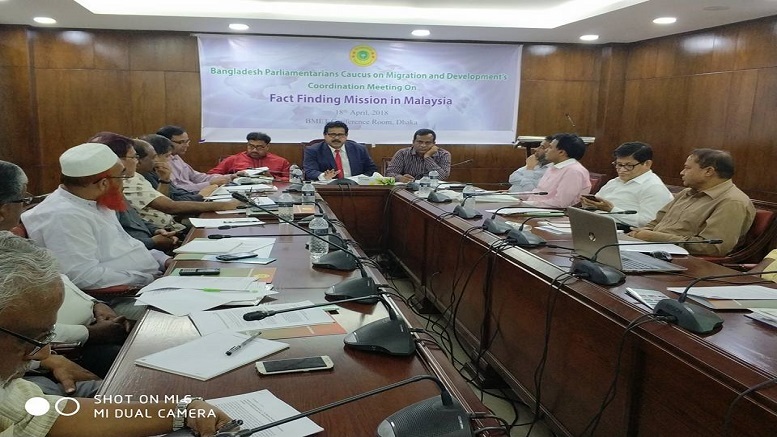 Syed Saiful Haque, Chairman, WARBE Development Foundation said that despite such large amount of remittance being sent from abroad by the migrant workers, their families were not being able to utilize the money properly due to lack of knowledge in remittance management. 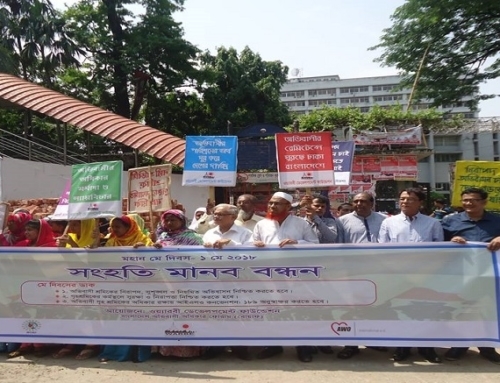 Saiful Haque said that there was no step taken by the government for the country’s wage earners who were contributing to the rural development and poverty alleviation. 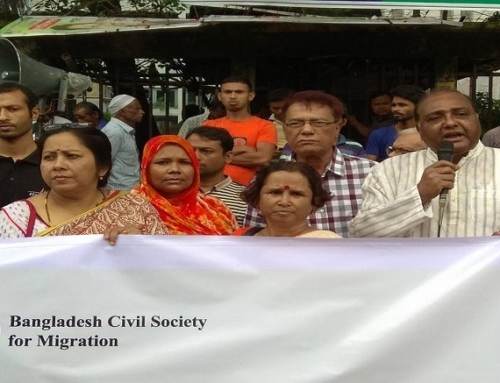 Due to visa trading, huge amount of remittance was being used by the brokers in the Kingdom of Saudi Arabia without sending them back home, he said, adding that the migrant workers were being affected by high cost of migration and middle in recruitment process. Lawmakers, senior officials and migration experts who were speaking at the launching ceremony expressed worries at the drastic fall in remittance inflow saying the declining remittances would badly affect the development activities in the country. 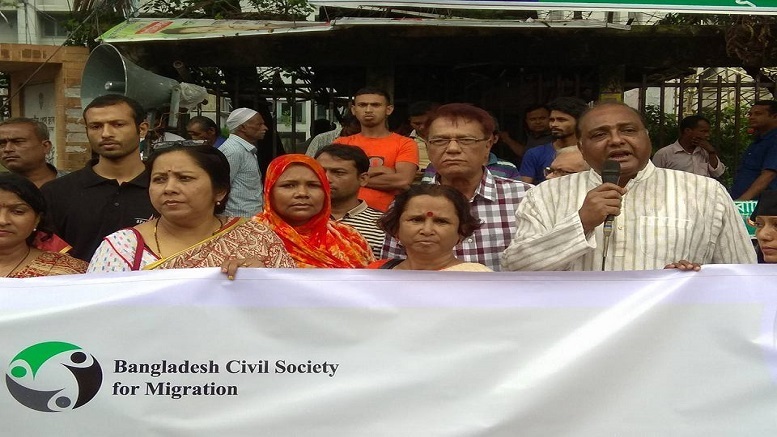 They said that the migrants’ low wages abroad, high cost of migration, visa trading and the intake of remittance through informal channels caused the decline of remittance. 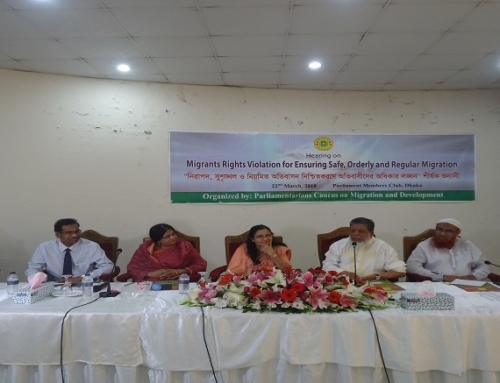 Chairman of Parliamentarian Caucus on Migration and Development Israfil Alam MP said that efforts must be taken to stop sending remittance through informal channels. ‘I request the finance ministry to provide incentives to the wage earners,’ he said, adding that remittance inflow has dropped to $13 billion in 2017 from nearly $16 billion in two year ago although overseas employment has substantially increased. Members of the Parliamentarian Caucus on Migration and Development Hosne Ara Lutfa Dalia MP, Mehjabeen Khaled MP and Jebunnesa Afroz MP, additional secretary to expatriates welfare and overseas employment ministry Ahmed Munirus Saleheen, WARBE DF director Jasiya Khatoon and Mastercard consultant Marilyn Bristi Gomes also spoke at the program. 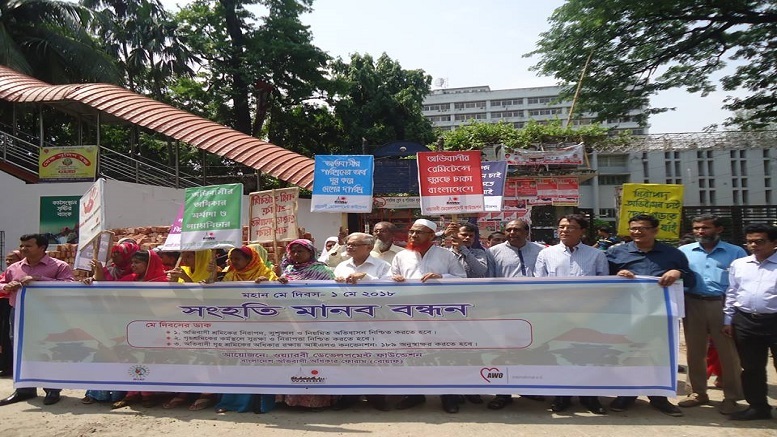 Beneficiaries Aklima Begum from Tangail and Abdul Latif from Keraniganj also shared their experiences at the program.